John Mills-Cockell is a Canadian composer in various media. He has created scores for The National Arts Centre, Firehall Arts Centre, Citadel Theatre, Glasgow Museum of Art, Vancouver Playhouse, University of Victoria Theatre, and Bluebridge Theatre among others. Past commissions include works for the National Ballet, Toronto Dance Theatre, Tarragon Theatre, Toronto Repertory Orchestra, St. Lawrence Centre, as well as film scores for National Film Board, independent film makers, and various television series. Nine of his albums are being re-released this year and next in a collection of works called the JMC Retrospective. Boston Ballet is currently producing Norbert Vesak’s “Belong”, set to Syrinx’s “December Angel” as a company premiere. He is presently working with writer and director Ken Gass on a full opera, “Savitri and Sam”, with writer France Ducasse on a second opera, “Kid Catastrophe”and is in the studio with William Blakeney on a new recording of “Network”. 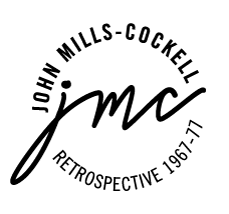 JMC Retrospective is a collection of works I recorded between 1967 and 1977. John is presently working with writer and director Ken Gass on the opera, “Savitri and Sam”, with writer France Ducasse on a second opera, “Kid Catastrophe”and is in the studio with William Blakeney on a new recording of “Network”. Boston Ballet is currently producing Norbert Vesak’s “Belong”, set to Syrinx’s “December Angel” as a company premiere. Since moving to British Columbia in 1990 John has performed with poet Blake Parker and video artist Ruby Truly in his compositions Stella: Black & White at Vancouver International Writers’ Festival and Wireless Bodies at Havana in Vancouver. He performed his composition Do You Hear the Rushing River?, with actor Mina E. Mina, produced by Donna Wong-Juliani at Vancouver Crafts Museum in 1993. He has most recently received scoring commissions for theatre productions at National Art Centre in Ottawa, Vancouver Playhouse, Citadel Theatre,Phoenix Theatre and Bluebridge (Victoria). He has created scores for radio (King Lear with John Juliani), as well as films and a television series directed by writer/director William B. Davis. In 1994 he was commissioned by Glasgow Gallery of Modern Art with Michael Hayden to compose Music For Heaven. He has been guest lecturer at University of Victoria Theatre Department for the Orion Lectures and the Adaskin Lecture Series. John Mills-Cockell studied composition at University of Toronto with Dr. Myron Schaeffer and at Toronto Royal Conservatory with Dr. Samuel Dolin. He studied piano with John Coveart and continued studies at the Electronic Music Studio of University of Toronto under Dr. Gustav Ciamaga. He then instructed a class in electronic music under Dr. Dolin at The Royal Conservatory. During this time (1962 –1966) John had several of his compositions performed at the Conservatory, Isaacs Gallery under the mentorship of Udo Kasemets and other Toronto venues. Fragments for Orchestra and Study for Bassoon, Prepared Piano and Magnetic Tape were recipients of the BMI Student Composer’s Award. Reverberations for Solo Trombone & Tape Loop and Windows for Solo Trombone were both premiered by Stuart Dempster as part of Isaac Gallery’s New Music Series.